While most manufacturers of mobile phones are striving hard to make big screen phones, a company in the UK is pushing hard to produce the world smallest phone. 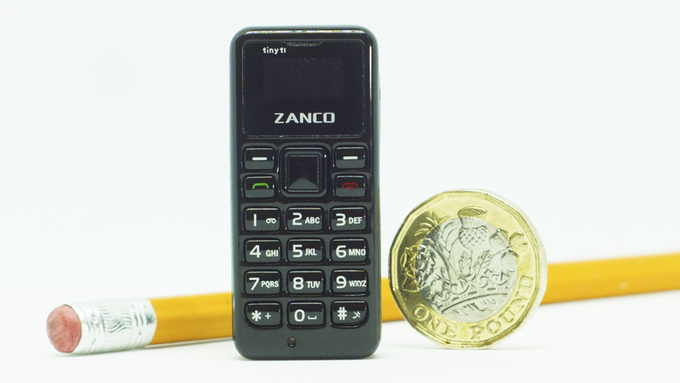 The zanco tiny t1 is smaller than your thumb and even light than a coin unbelievable right? Reports have made it known that it is 4 times smaller than iPhone and 1 million times finner. The first time you see this phone you won’t believe it exists. Your second thought is will be why does it exist? And the third time you look at it you will realize how much you want it. An interesting feature about this Zanco tiny T1 is that it can fit in into small jean pockets or runner leggings. which means it is perfect for joggers, walkers, cyclists, and those who part take in other sports. Stores the last 50 in/out numbers. It’s a must-have phone of 2018. It serves as a perfect emergency phone. It’s a perfect gift for gadget lovers. It can be used whenever you want to travel light. 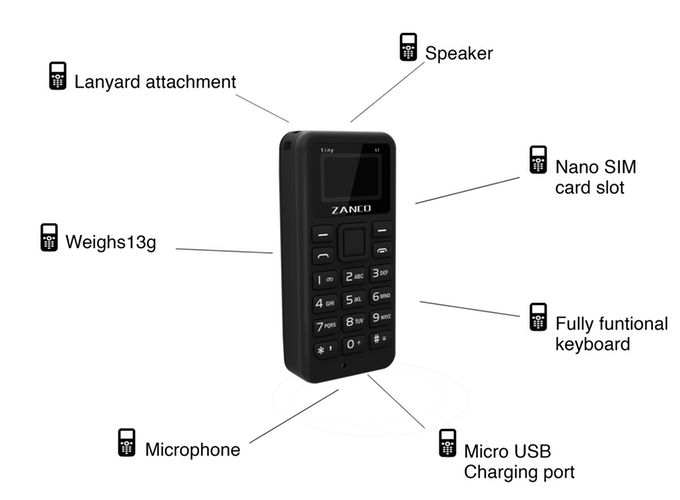 If you are in need of the Zanco Tiny T1 you can pre-order from Kickstarter for £30 ($40).